Who is handling your leasing calls and what else are they responsible for? If your staff is responsible for admininistration work, screening tenants and showing your vacancies, something important is going to be thrown on the back burner when call volume goes up. I recently “secret shopped” the leasing lines of property management companies across the US. Let me tell you, it was frustrating how many voice mails I got. When I did get an actual person, I found many of the overwhelmed staff / leasing agents were rude and/or rushed me off of the phone. 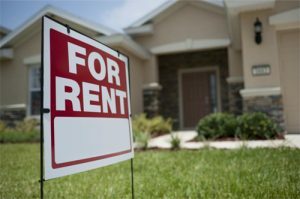 As someone who has recently been in the position of looking for a home to rent, I’ll tell you this: When I didn’t get a hold of someone about a property I was interested in immediately, I moved – taking my good credit, excellent landlord references, and lack of criminal history with me. Looking for a rental is a stressful process. The stress is significantly increased during the hectic leasing season when homes are flying on and off the market. Qualified prospects are not going to stop looking while waiting for an agent to get back to them no matter how much they love the property. In the listing portion of your website provide a summary of rental qualifications and your application process. This will reduce the amount of calls you receive from unqualified prospects. This, as well, will reduce call volumes as it allows prospects who are comfortable doing so, to answer pre-qualification questions and schedule their showing during the allotted times without calling your office. You do not want a flood of phone calls compromising other important office procedures and employee morale. The good news is that there are affordable resources available to help with leasing calls and emails. Many property managers are now outsourcing leasing calls during business hours to prevent interruption. This includes overflow calls as well as after hours calls. in addition, virtual assistants will return voicemails, and respond to leasing emails. Learn more HERE.